There are three promotions, two play-off finals and a Football League Trophy victory on his CV. In a couple of months' time, Kenny Jackett may have a couple more medals on the mantelpiece. Jackett will lead Portsmouth out in front of more than 80,000 fans on Sunday to face Sunderland in the final of the Checkatrade Trophy. Once Wembley is out of the way, Pompey will focus on trying to secure promotion to the Championship. If experience is key at this decisive stage of the season, Jackett will be fine. The 57-year-old, one of six Welsh managers currently employed in the EFL, has proved repeatedly that he knows how to win. "If you let him do what he needs to do, Kenny will bring a club success," says Sam Ricketts, the Shrewsbury Town manager. "I had three promotions in my playing career and two of them were under Kenny, while I also lost a play-off final with him. "He is very, very knowledgeable - he knows the league and the players inside out. "He builds sides that are very organised and he recruits players with the right character and temperament. He's really big on that. "He is also ruthless when he needs to be, and very clever when it comes to knowing what a team needs." Ricketts knows better than most about the influence Jackett can have. The 52-cap former Wales defender won promotions under Jackett at Swansea City and Wolverhampton Wanderers. Jackett's managerial career started at Watford, the club he represented throughout his playing days. After a season in charge at Vicarage Road, he switched to a coaching role under Graham Taylor and was part of successive promotions alongside the ex-England boss. Jackett's next post was as assistant manager to Ian Holloway at Queens Park Rangers, where a play-off final defeat in 2003 was followed by automatic promotion from the third tier 12 months later. Jackett left Loftus Road shortly before Rangers clinched a top-two spot in order to take the reins at Swansea. The following spring, he was celebrating promotion from the fourth tier in Swansea's final year at Vetch Field thanks to a final-day win over Bury. "There was a lot of pressure on us to succeed that season," says former Swan Leon Britton. "But Kenny had signed some players who had a big impact at the club like Garry Monk and Sam Ricketts. "He gets teams very organised. His teams are very difficult to break down and everyone knows their role in the team. That's what brought his success at Swansea. "We got promoted in the last year at the Vetch and not only that, we were a couple of spot-kicks away from getting to the Championship the next season." Jackett plucked Owain Tudur Jones from the Welsh Premier League as Swansea moved to the Liberty Stadium. The midfielder went on to be part of the Swans side who made two trips to the Millennium Stadium in 2006, as they beat Carlisle to win the Football League Trophy but then lost a penalty shootout to Barnsley in the League One play-off final. "Kenny's spell at Swansea is probably under-appreciated because of what happened there after him, but arguably none of that would have happened without his time in charge," Jones says. "It's no shock to see the success his teams have had over the years. He is a really successful manager who doesn't get the credit he deserves." 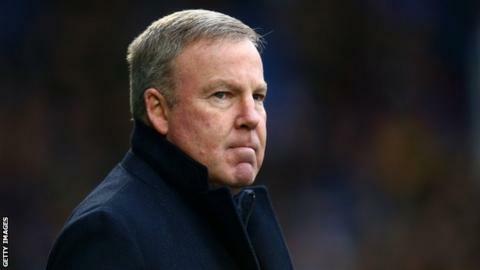 Jackett left Swansea in 2007 but, after a brief spell as Manchester City's reserve-team boss, quickly returned to management at Millwall. Jackett's Lions reached back-to-back play-off finals in the third tier, with defeat to Scunthorpe in 2009 followed by victory over Swindon a year later. "He has got a very good record - he seems to do well at every club he goes to," Britton adds. "His teams are pushing for promotion and he also has longevity at clubs, which is not common these days." After six years at the Den, Jackett got the Wolves job in 2013 - and very quickly proved once more that he knows how to guide a club to the Championship. Wolves were left licking wounds after successive relegations but romped to the League One title in Jackett's maiden Molineux campaign. Their tally of 103 points was the club's best and a new third-tier record. "That year was the start of where Wolves are now," adds Ricketts, Jackett's skipper in the Black Country. "He put the foundations in place at Wolves and it was very similar at Swansea. He knows exactly what teams need - that's why he let me go when I was 33." Wolves finished seventh the following year before a mid-table finish in 2015-16, with Jackett departing following a takeover that summer. After a brief stint at Rotherham United, he took the Portsmouth job in June 2017. Having narrowly missed out on the League One play-offs last term, Jackett's team are third heading into this season's home straight and have a trip to Wembley to savour. "I don't think anyone can knock what Kenny has done at Portsmouth, where you are dealing with that expectation to get to the next level," says former Pompey star Steve Claridge. "Portsmouth started brilliantly then tailed off a little bit and now they have come back into the promotion picture. "A lot of teams would have folded after being top and then losing something they had, but they have come back and that's the sign of a good manager." Striker-turned-pundit Claridge was born in Portsmouth and played for the club between 1998 and 2001, a spell which included a stint as a player-manager. He also represented Millwall with distinction and appreciates the work Jackett did in Bermondsey. "His management is probably reflected in his character," Claridge adds. "He is studious. He isn't loud and he isn't brash - he just gets on with the job quietly and with professionalism. "I don't think he is the type of manager whose teams are going to play magnificent, free-flowing football every week, but what you are going to get is teams that are effective. "Kenny gets the job done. That keeps fans happy and that's what it's all about." Jackett knows his way up the EFL, but he has never managed in the Premier League. He played at the highest level during a golden period for Watford in the early 1980s, but will he ever get back there? "He certainly deserves the opportunity to manage in the Premier League, but I don't think he is the type of man to lose sleep over the fact that he hasn't," says ex-Wales player Jones. "He will rightly feel proud of the work he has done at the clubs he has been at."